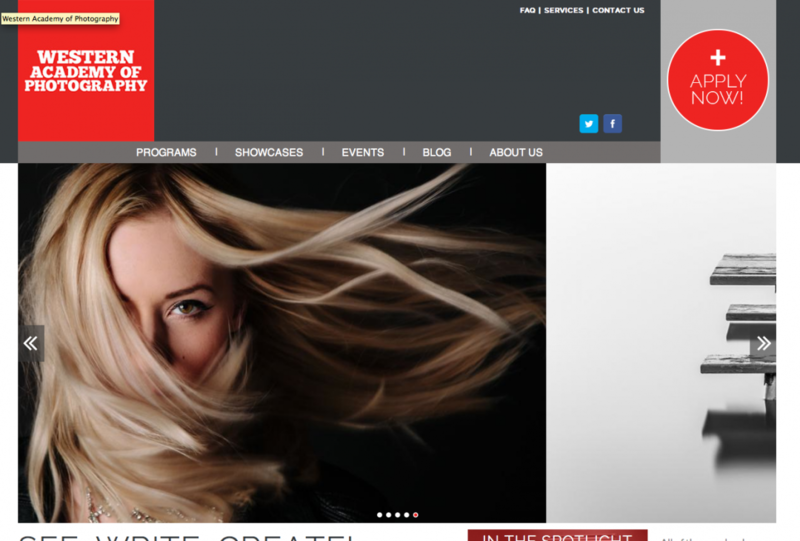 Western Academy of Photography is one of the most well-known photography schools in Western Canada. Their graduates make up an impressive Alumni from their photography, photojournalism, and journalism courses. After our sister company, North Studio, built their website, we decided to take a campaign style online advertising approach to their marketing budget with the goals of: increasing awareness and brand recognition, and driving leads for the 2013/14 and 2014/15 school years. The google display and Facebook networks was a perfect fit for the image ads created from some amazing photographs taken by students. The campaign was very successful with a relatively small marketing budget. We look forward to a continued relationship with this great school.